I love garden writing almost as much as I love working in the garden. From time to time, I write short reviews of gardening reads on Goodreads. Of course, I’d have to start with The Essential Earthman, by Henry Mitchell. I think this is Mitchell’s finest writing, best read on a cold, gray, miserable February morning. 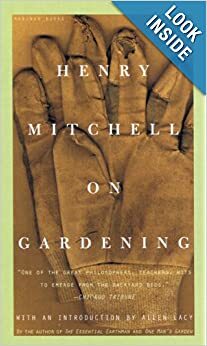 Henry Mitchell On Gardening is another excellent choice, as is One Man’s Garden. You just can’t go wrong with him. Avuncular and witty, he writes with a style that seems to have all but disappeared from the garden-literature landscape. Elizabeth Lawrence is another garden writer in the same vein as Henry Mitchell. Like Mitchell, she is of a generation that perfected the art of letter-writing, and this book comes across as a series of letters full of advice and observations especially for you, her reader. This charming book led me to explore the fascinating world of minor bulbs. I’m still exploring, and I hope never to stop. 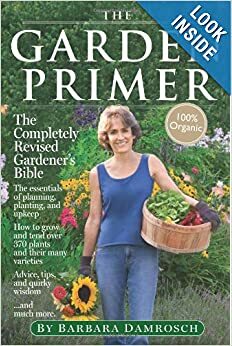 Barbara Damrosch’s The Garden Primer helped me in my early days as an apartment-windowsill gardener learn the fundamentals I would apply later on. It’s the first book any new gardener should read (even before you pick up the catalogues). I was, and still am, attached to the first edition. Her revised, second edition can only improve upon the first because Damrosch has added 20 years of gardening experience and wisdom to her impressive resume since she wrote the first edition. My copies of Mitchell’s books show signs of much reading. He was truly a wise gardener. I haven’t read Elizabeth Lawrence, but really ought to. 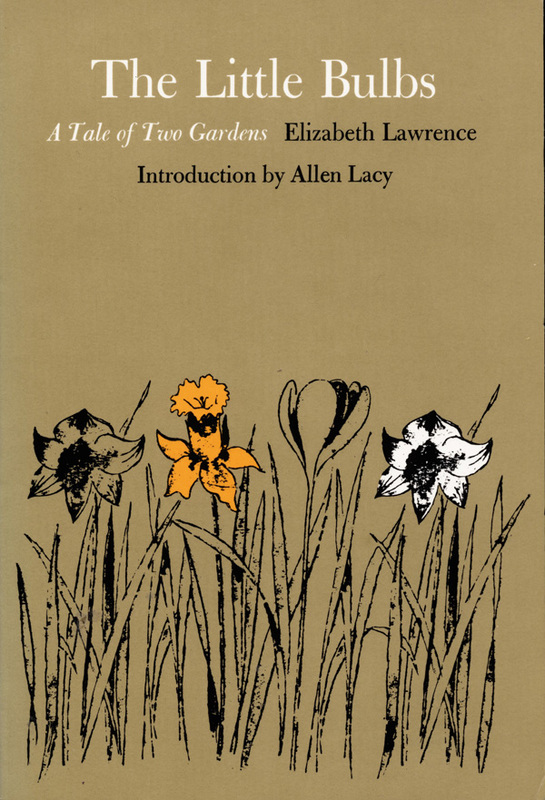 I see Allen Lacy wrote the introduction; his book The Garden in Autumn is also one of my favourites. I haven’t read Allen Lacy, but I have heard many good things about him. I’ll add him to my to-read bookshelf.